Hey ladies! Today I’m excited to share with you this super simple undo! I wear this style to work all the time. Literally takes minutes, looks professional, and people would never know you hair is super dirty or you did it in only a few seconds. 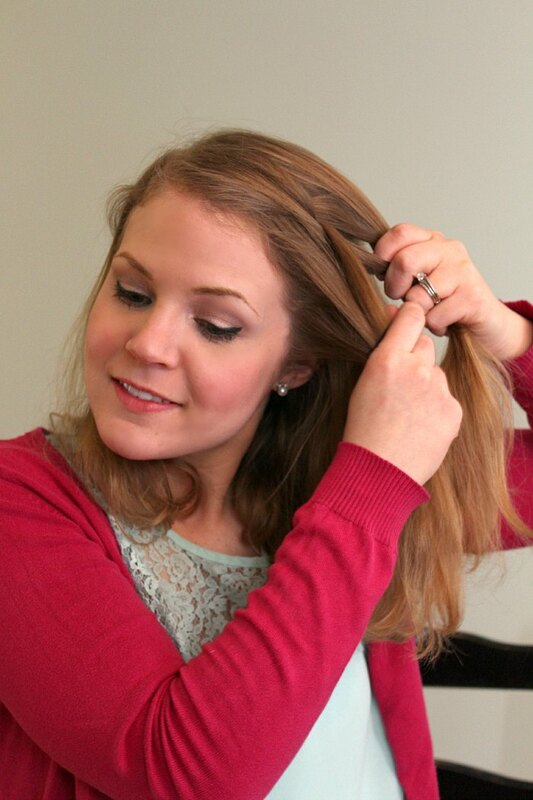 Doing your hair doesn’t have to be hard or complicated. 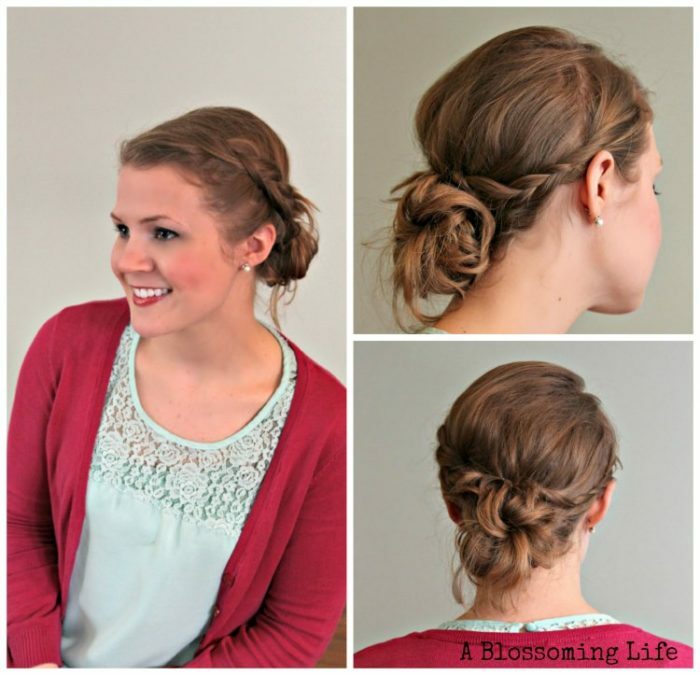 Throw it up with some bobby pins and create something magical! Doing hair has always been an interest of mine. My mom cuts hair and is amazing/crazy. She wakes up early every morning to do her hair. I’m talking multiple curling irons, teasing, and lots of hairspray! And on most days she works from home and doesn’t see anyone else except our family. But she loves getting ready and looking nice. In high school, I started working for a fancy shmancy hair salon and my passion for hair increased! I was the always the one helping my friends with their hair for school dances. Let’s be honest for a second… My hair took a backseat while in grad school and it wasn’t until I started working that I started styling it again. I wanted to look professional without having to shower everyday (being honest and “crunchy” here). So I started experimenting with fun updos that took like 3 seconds. Ok I will stop talking…. On to the tutorial. Step 1: Tease your hair around the crown of your head. Step 2: French braid one side of your head and tie the end temporarily with a hair band. 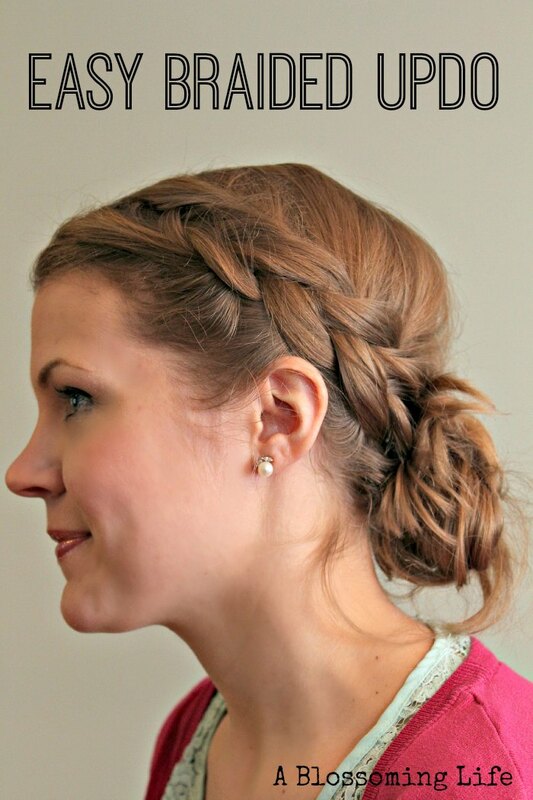 You can do a normal french braid or a backwards one. I do a backwards one because I can’t do a regular one (seriously I’ve tried 100 times). 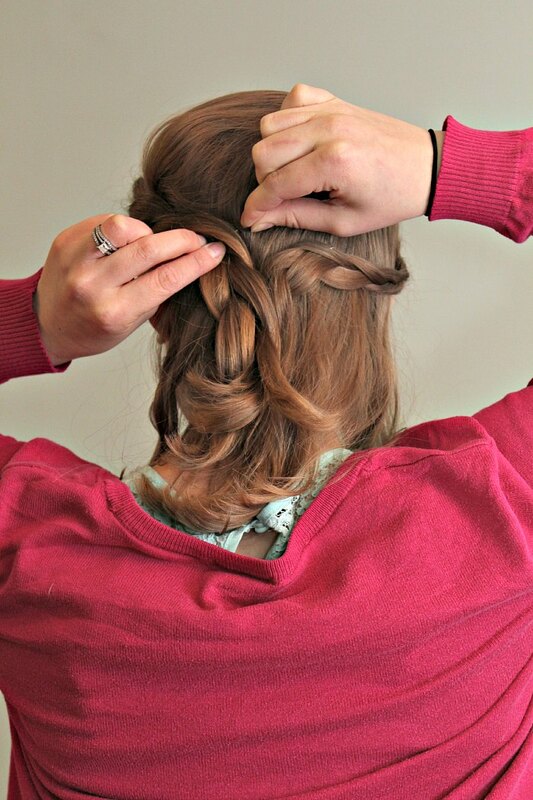 Then pull the braid apart a bit with your fingers giving it a messier, more volumous look. 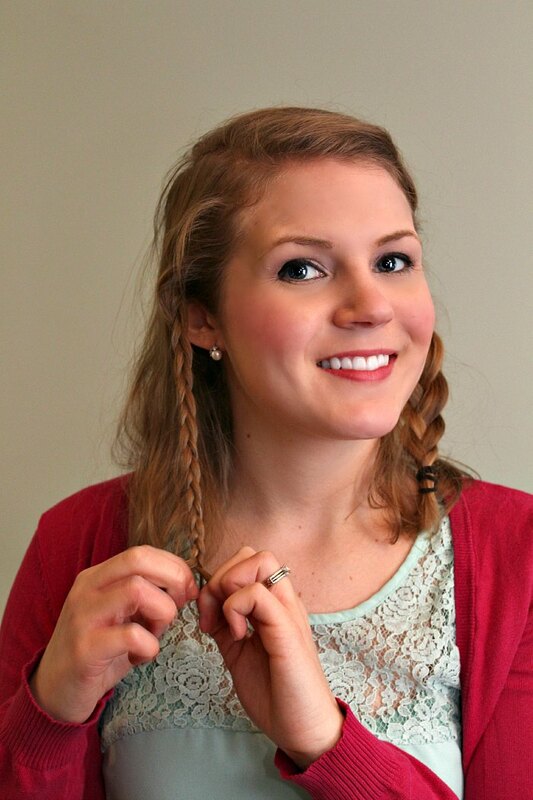 Step 3: Make a regular braid on the opposite side of your head. 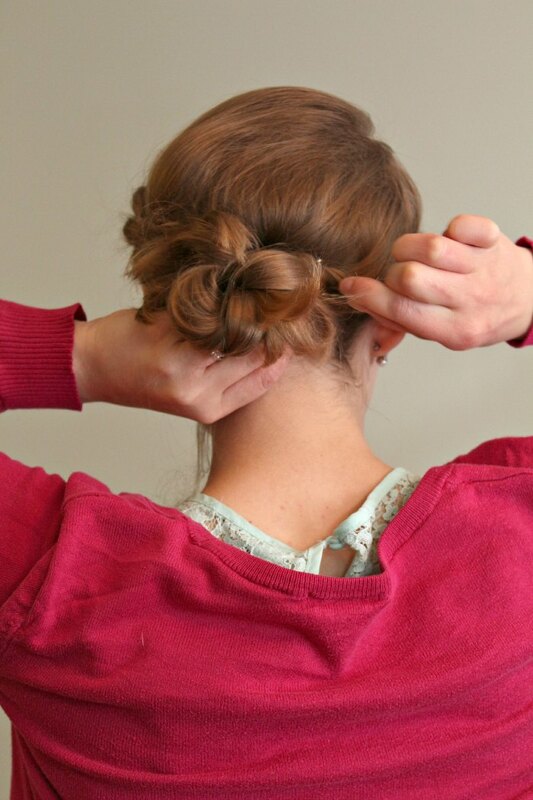 Then loosely pull it to the back and hold in place with a bobby pin. Step 4: Remove the hair band from the large french braid and pull the braid to the back and bobby pin it in place. 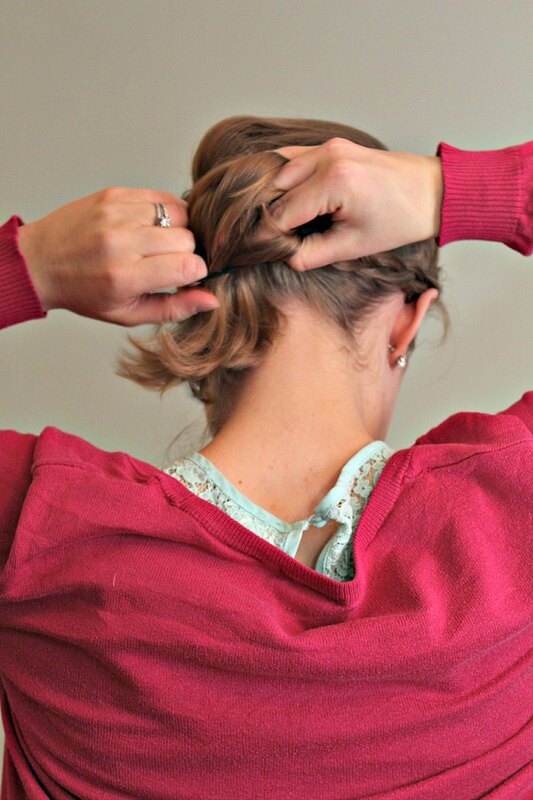 Step 5: Make a messy bun by pulling your hair halfway through the hair band, twisting the hair band and some hair, and wrapping the band around twice. Step 6: Randomly bobby pin the loose hairs around the hair band so you cover up the band and any showing bobby pins. 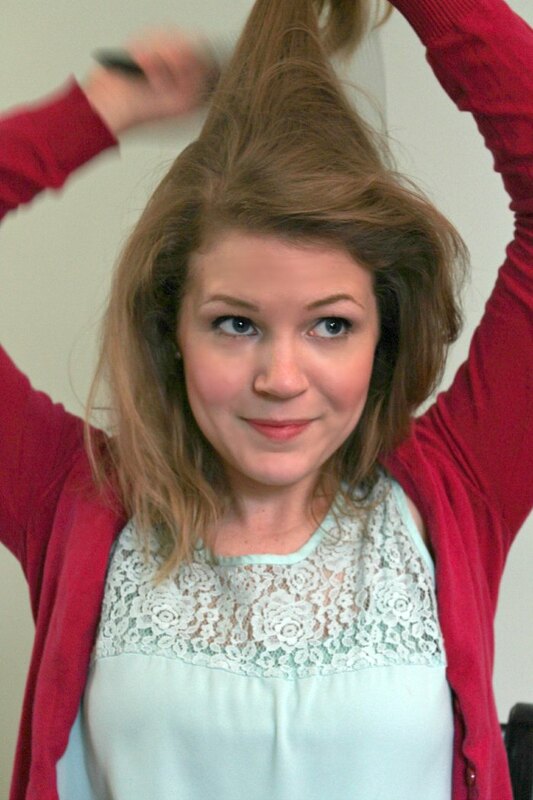 Amy is the author behind the creative lifestyle blog A Blossoming Life. 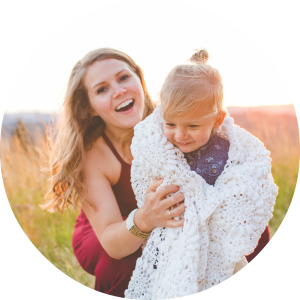 Her goal is to encourage others to create things homemade, enjoy life, and encourage a faith filled life. On the blog she shares bits of her craziness like crafts, tasty recipes, DIY projects, furniture makeovers, fashion, and all things frugal!